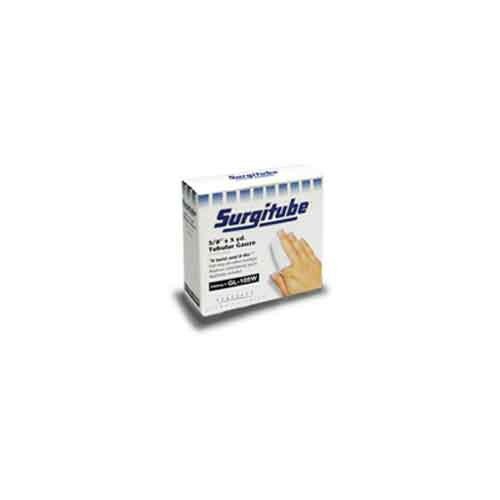 Derma Sciences GL310W Surgitube 1.5 In x 10 yrd Tubular Gauze Size 3 is a cotton-made tubular gauze that is best used as a secondary dressing and is able to secure primary dressings without the need for tape or clasps of any kind. The material is able to stretch for a proper fit over any limb or extremity during treatment. Because it's made with a breathable cotton material, the tubular gauze will help the skin breathe and will not unravel after being cut. 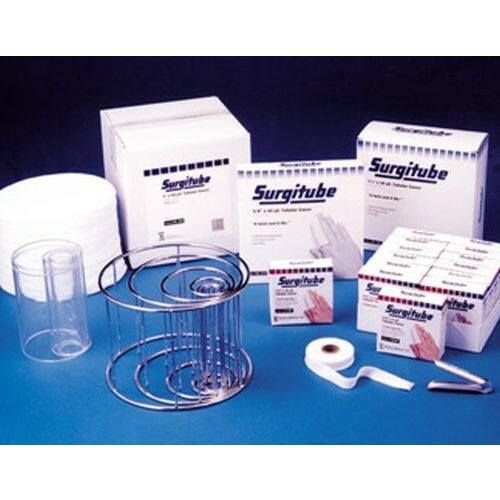 The tubular gauze is 1.5 inches wide and comes in a 10 yard (30 foot) roll for multiple uses. The white color makes it easier to see and it is intended to be used on either the hands, feet, lower legs or shoulders. To avoid allergic reactions the product is not made with any latex.